I tried to kiss the cheek of the young Chinese guy from the university who picked me up at the airport when I first arrived in China. This scared him. Shy and embarrassed, he repeatedly insisted: “bu, bu, bu, bu” (no, no, no, no) and hid behind the girl who accompanied him. His English name was Leo, and he probably thought I was crazy. Wasn’t I? Who kisses strangers? I quickly realized there were some major cultural differences. With two heavy suitcases and the humidity of southeastern China soaking my body, I got into the car and went across Fuzhou, the capital city of coastal Fujian Province, where my university was located. The scene of the city through the window struck me: colossal gray residential buildings everywhere, one after another, lining the Minjiang River. The totally unfamiliar architecture surprised me and reminded me that I was far from home. But when I arrived at the campus on the outskirts of the city, I was surrounded only by nature: green mountains of dense vegetation in a subtropical climate. I spent more than a year in that place and it changed my way of thinking in many ways. Just “ni hao” and a few other expressions composed my Chinese vocabulary those days. I tried to learn some basics about the language before coming, but my efforts seemed completely useless. Moreover, the accent was so unique there that even the simplest words sounded totally different to me. An “F” would be pronounced like an “H”, “R” like an “L”, and so on. Somehow, I felt like a baby abandoned in a new environment. My only tools were mime and improvisation. Sometimes they worked, sometimes I got frustrated, and most of the time I ended up laughing at myself. The author at the front gate of Fuzhou University on her first day of classes in China. Since I had arrived in Fuzhou three days earlier, I hadn’t met many people. I was excited about starting lessons and getting to know everyone. My classroom was in a brand new building just next to a lake—very different from the environment of my university back in Spain, which was located right in downtown Granada in a historical building. Things, of course, got better. One or two new students would come and go. I would later realize that the Chinese teacher from my first day was the best Chinese teacher I have ever had. The old woman in the class was amazing and had lived all around the globe, but would still show surprise and curiosity at anything I said. My learning schedule was tight. The teacher would ask you where you lived and what you had for breakfast. “Did you put on weight?” “When are you going to marry?” “What was your salary when you worked in Spain?” Questions were direct, honest and simple and I got used to them. Privacy wasn’t an issue for them, nor for me. As for improving my Chinese language ability, three years later, I am still working on it. When I first arrived in Fuzhou, the city didn’t have a metro. At bus stops, only Chinese characters spelled out the routes or stops, not even pinyin (a system of Latin letters for reading and writing standard Chinese), making buses impossible for me to take. However, showing an address written in Chinese to taxi drivers made it possible for me to move around. The cost of a ride in that area was really cheap compared to fares back home, so it quickly became my prime means of transport. But the taxi system had its own peculiarities. For me, normally when you stop a taxi, it takes you wherever you need to go. However, I quickly learned that here, the driver had the final say. And if it rained, it was almost impossible to get a cab. One day I went to meet some friends in an unfamiliar area. Lacking an umbrella, I got soaked searching for a cab. 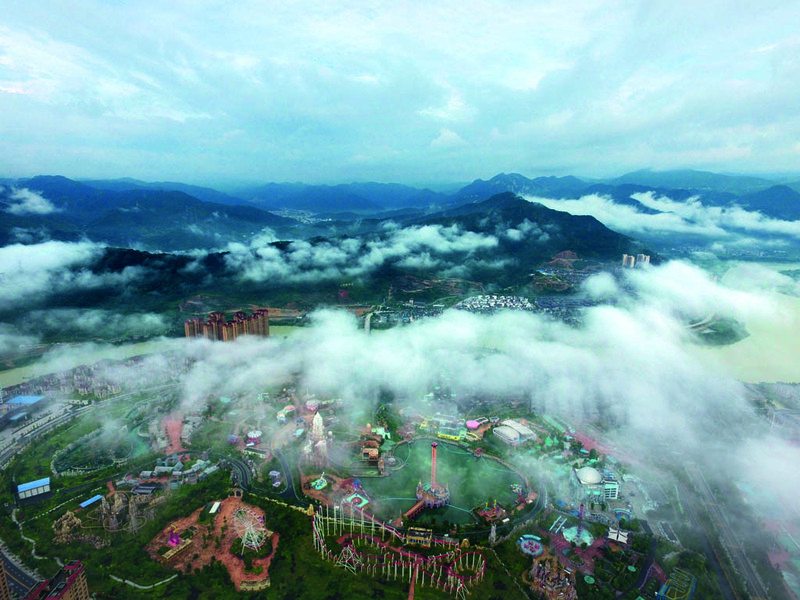 In Fuzhou it never rains gently—water falls violently, and thick layers of moisture cover everything. I decided to take a bus. My phone was out of battery. The address was in it. I missed my bus stop. When I got off the bus in the middle of nowhere, I was completely lost. Wading along the ﬂooded roads, I was unable to find any known place and ended up in a tiny dumpling restaurant, anxious due to the lack of cash in my pocket. Fuzhou didn’t have many foreigners, so everyone looked at me and said things I would never understand. They talked to each other curiously, and then the old lady managing the canteen gave me hot water and homemade food, worried that I might catch a cold. I managed to point to my dead phone and showed them that it was dead, and they smiled and gave me a charger. Feeling comforted and grateful, I waited there until the rain stopped. With the phone powered up, I could pay by scanning a QR code, and I finally got a taxi that took me home. Since then, I wasn’t afraid of taking buses anymore. The expat community in Fuzhou was almost negligible, especially considering the city has more than seven million inhabitants according to the 2010 census. Locals were not used to meeting us. Neither were we. After hearing so many Chinese people declare the passing of a “laowai,” referring to foreigners, I started to say the same thing if I encountered a non-Chinese face. I joked, but everyone in town seemed to notice if a new foreign face showed up. In my experience, when you live abroad, you gravitate towards friends in the expat community. And the desire for the familiar goes even further: If you find the chance, you would choose people who share your nationality, language, religion or any other common feature that can become the source of a sense of belonging to a community. In Fuzhou, it doesn’t work that way. There are not many people who share origins or cultural backgrounds. Consequently, you often find people from Egypt hanging out with Costa Ricans or Koreans. Australia and Spain seem like next door neighbors. France is best friends with Kazakhstan. “Do you really have Chinese friends?” Of course I do. 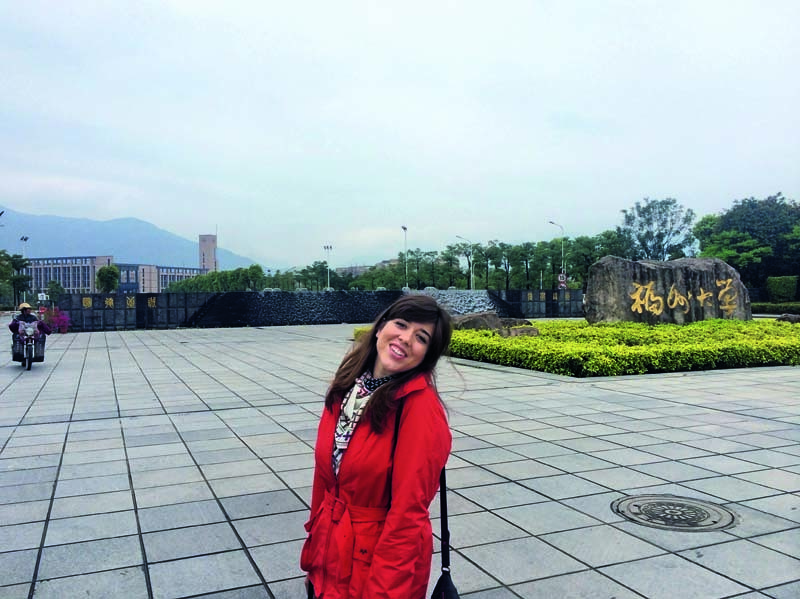 The author is an international student from Spain who studied at Fuzhou University. She currently studies at Peking University on a scholarship from the Spanish Official Credit Institute (ICO).